The word “snickerdoodle” is one of my favourite words to say, and my one cat- Taxi- was nicknamed “snickerdoodles” as a petname :D. There are several words that I love to just say cos they sound like fun, and until a few years ago I didn’t realise a Snickerdoodle was a cookie! And here they are! I think they’re my new favourite cookie! 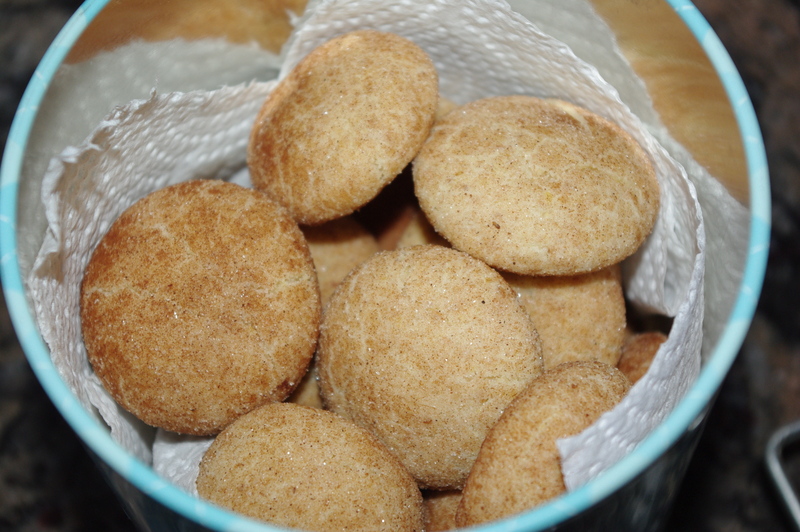 They’re a sweet biscuit, and they’re rolled in cinnamon sugar before they are baked!